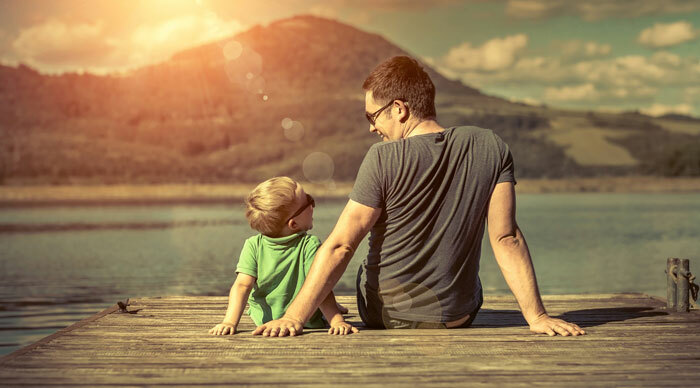 Father’s Day is the time to show appreciation to Dad and how much he means to you. He’s been your provider, your coach, your warden and your best friend. What do you get the man that has meant so much throughout the years? How about a new camper? Or at least a look at what could be his new camper. Treat him to lunch and bring him on over for the big Father’s Day Open House. Did we mention that there is a fun giveaway? Join us for Father’s Day weekend fun! Be one of the first people to fill out this quick form and get a Fender Well Brush. Perfect for cleaning your current camper or the new one you pick up when you visit us this weekend. Not sure what kind of camper you are looking for? Don’t worry! Not only do we have a friendly and knowledgeable staff, but we have tons of campers to choose from. Come to our Father’s Day Open House and explore our great selection. We have travel trailers, fifth wheels, destination trailers, and motor homes. Don’t forget to check out our Bottom Dollar Pricing and our 30 Day Warranty. Spending time with Dad is special no matter where you are. If you have any questions feel free to contact us at Moore’s RV. Or, and we have much more fun with this choice, stop on by! We can’t wait to explore our great selection of New RVs and Used RVs with you. And don’t forget about the fun giveaway! Everyone loves free things. Especially on Father’s Day and especially at our Father’s Day Open House and Blow Out Sale.